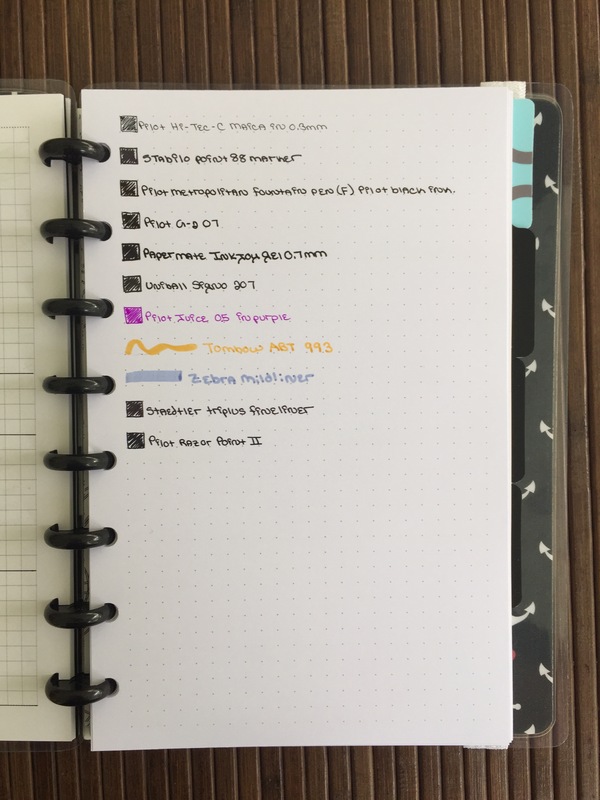 Just a basic flip-through of my September 2016 BuJo. There are a couple of changes I’ll be making for October. When I get it all set up, I’ll post it! Congratulations to @letteringgrace for winning the giveaway. Thank you all for participating, but this giveaway is now closed. I am so excited, humbled, and amazed because @ohayobento made it to 10k followers on Instagram last night!!! Thank you all so much for joining me on this journey. I have learned so much from all of you and I cherish the time we get to interact, share, and grow together! I truly cannot say how amazing the bullet journal community is because my words could never do it justice. As a small attempt at showing my appreciation, I would like to give away what I’m calling a Bullet Journal Discovery Kit. It has all the basics: a Leuchtturm1917 dot grid notebook, Staedtler Triplus Fineliners, a pack of Zebra Mildliners, a Pilot Razor Point II pen, and my absolute hands down favorite set of pens the Pilot Hi-Tec-C Maica in 0.3mm. The giveaway is only open on Instagram, so please click here and follow the rules and guidelines in the post to enter! I have been tracking my wellness since I started bullet journaling, but the format has changed quite a bit over time. This video shows the evolution of my wellness tracking and how I’ve made it simpler, faster, and more useful. The last few months have been full of change. Some of these changes, like the birth of my daughter, have been truly magical! And others, like the round of layoffs at work and the news of the company closing the majority of the business have been awful. Change, whether for the good or bad, can be stressful. Even change in a planning routine can add stress. In our ever gnawing need for higher and higher productivity we constantly change our system, our style, our materials, etc to the point where the very thing that is supposed to bring you peace becomes an object of frustration. 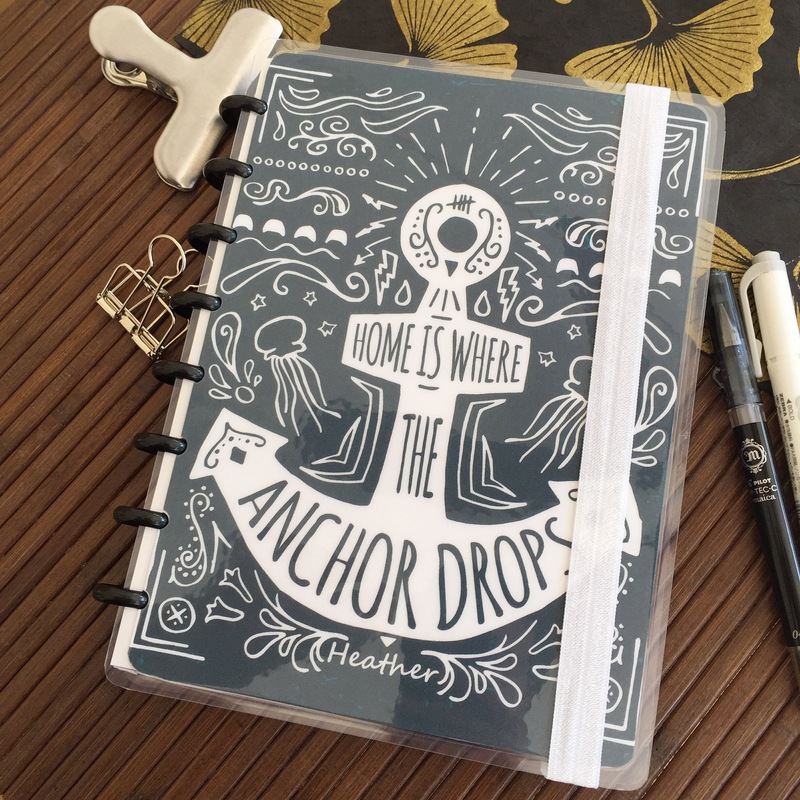 I dearly love my disc bound notebook from Jane’s Agenda! Don’t get me wrong, it’s amazing! 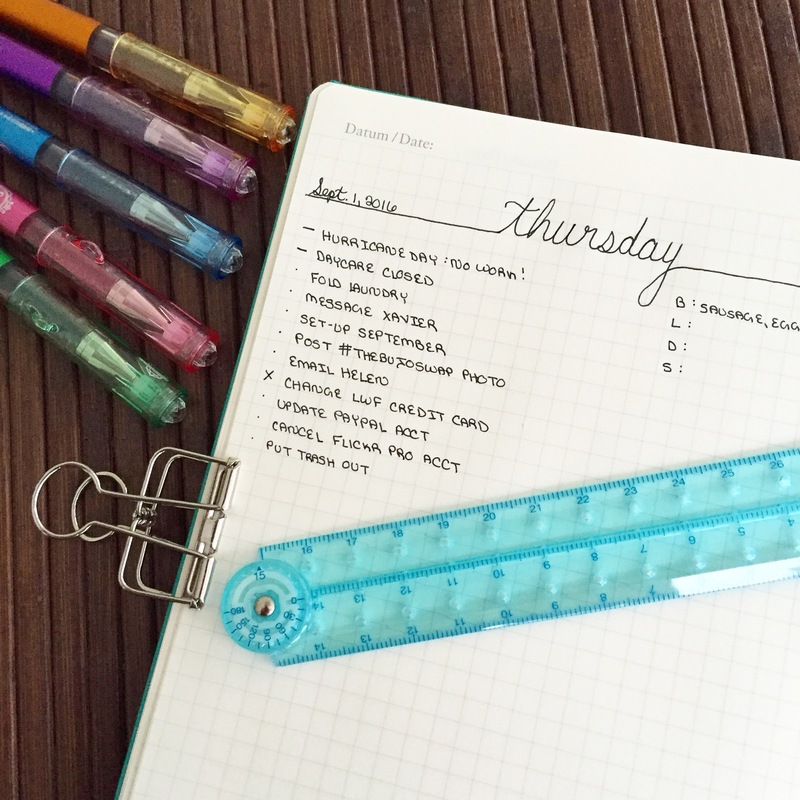 It’s so much more practical than a traditional notebook and it’s perfect for a bullet journal!! But, there it was. Another source of change. Another new thing in my life full of the unfamiliar. And I just needed to step back and return to something normal, comforting, and familiar. Something I could control. So for September, I switched back to a Leuchtturm. Shock! Awe! Even though it is loads less functional than a disc bound notebook, I craved the romance of a traditional journal. I still have all of my long term collections in the Jane’s Agenda notebook. And they are likely to stay there and continue to grow. But for daily planning, I’m back to a Leuchtturm. Wait a minute??? Didn’t I say I would probably never go back?? Yep. Never say never! It’s like that old sweatshirt you swore you would never wear again, but then one day you are feeling so down and out of control that you put it on for comfort. Yeah, that’s the Leuchtturm for me. I did switch it up a little, that’s just my way, and went for a straight up grid notebook. I like dot grids, but after using the graph paper in my disc bound book, I realize that I like graph a lot better. I mean a lot! I’ve also simplified my health tracker a good bit. I don’t track in my dailies any more, just in the monthly spread. This makes it so much easier. Simplicity is good. And so is familiarity. Sometimes, being able to control such a simple thing as a notebook can make a world of difference. However, if you are in the market for something new and want to try out a disc bound notebook, Jane is offering 10% off until the end of September with code OHAYOBENTO. They are seriously great notebooks. Jane, over at Jane’s Agenda, sent me one of her cute disc bound notebook covers and dot-grid paper to review. I’ve been using and abusing it over the last week: carrying it around everywhere, throwing it in and out of my backpack, removing and replacing the cover every day to see how it wears, etc. And it has held up really nicely! She customizes the covers with your name before heavily laminating and punching them. Don’t you just love this design? How cool is that anchor! I lived on a sailboat when I was little, so this just tugged at my heartstrings. But if you aren’t the anchor type, she has a variety of other styles. 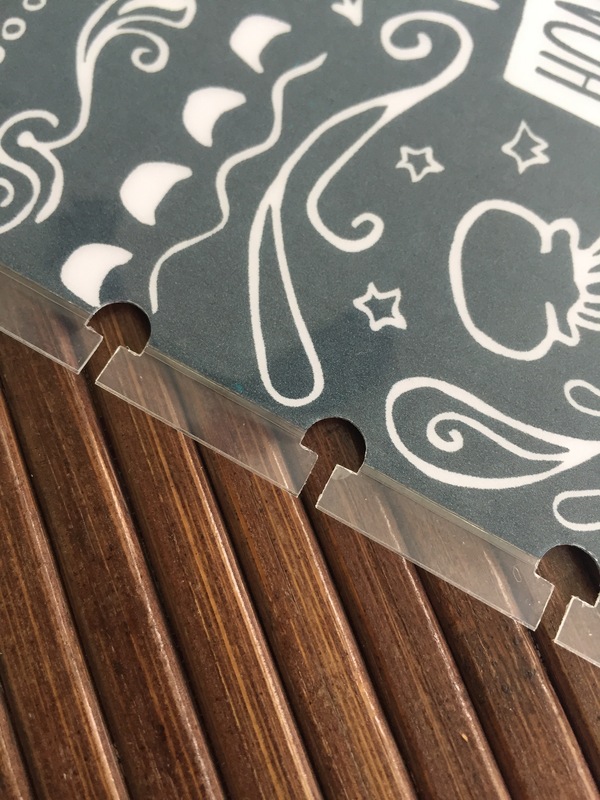 The laminated cover is just as thick as the Arc and Tul plastic covers and it’s very sturdy! 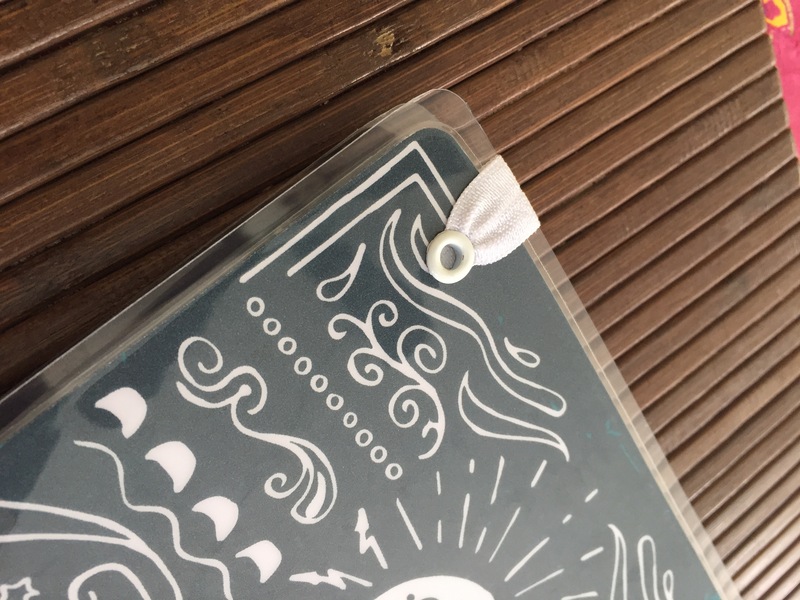 The back cover has an elastic attached with eyelets. 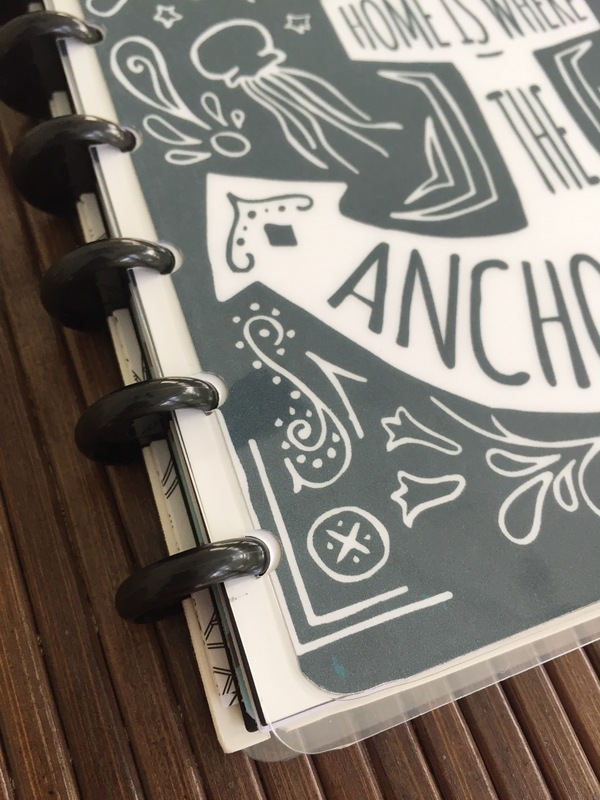 The elastic is pretty loose if you have a thin notebook, so thicker notebooks will benefit from it better. My only criticism would be that it is too close to the edge. The strap is right at the edge of the paper, so it wants to bend the edges of the cover together. If it were about 2cm further in, the stack of paper would help keep everything straight. 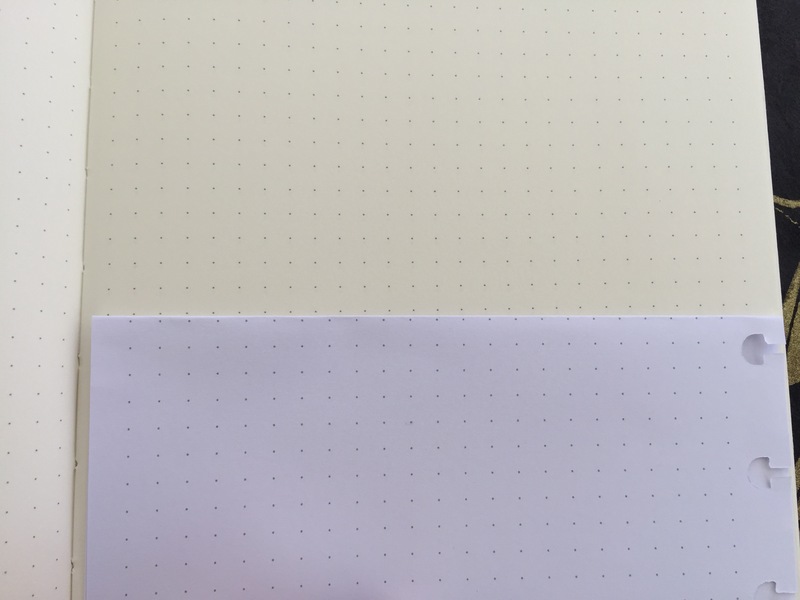 She sent the notebook filled with white dot-grid paper, so of course I had to do a pen test… and I’m impressed! The paper is super smooth for writing, even with a fountain pen, ghosting is very minimal, and there is only a tiny bit bleed-through on the wettest ink. The paper quality is much better than in the Leuchtturm1917 notebooks, and better than the Tul! The boxes are slightly bigger than the Tul paper and dot grid in the Leuchtturm1917. You get 22 boxes across opposed to 24 for Tul and 26 in the Leuchtturm1917. I like to write small, so I like the smaller boxes better, but that is a personal preference. I used and abused this cover over the last week. Putting it on and off my notebook everyday is a lot of stress on a disc bound cover. Typically this is something I would do only if I were changing covers, so it would rarely happen. The cover held up really nicely to this abuse, but there are a couple of spots where the lamination is just starting to separate. But it isn’t bad considering how many times I removed it! I give it a big thumbs up! Overall, I like this notebook and cover a lot. The quality is great, and at the end of the day you are supporting a small business, which is wonderful! Jane was kind enough to give a 10% discount with code OHAYOBENTO until September 30th! 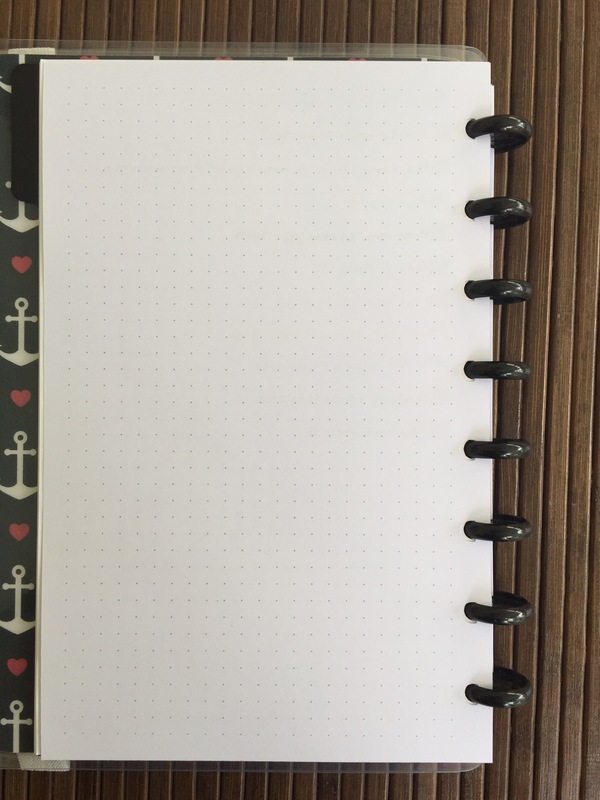 Edit: I got a request to compare the dot grid paper from Janes Agenda to the dot grid of a Leuchtturm. 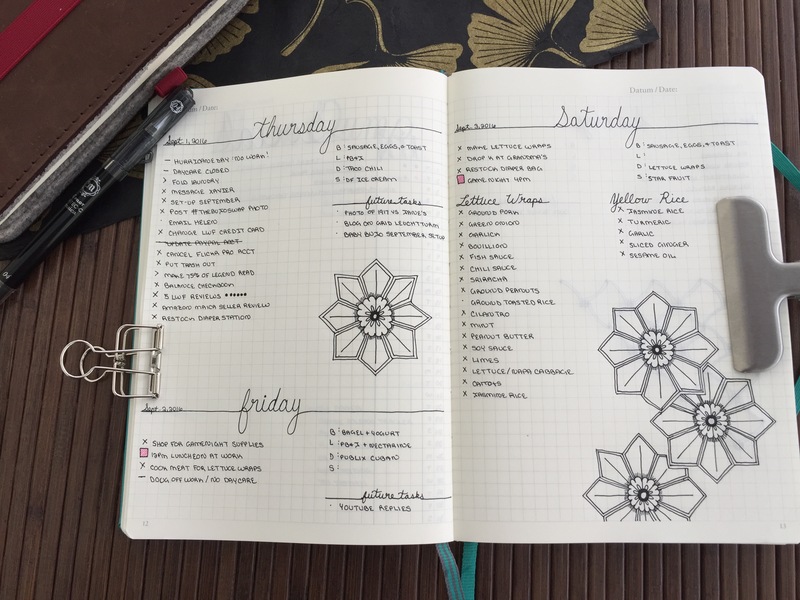 The photo below shows the Leuchtturm paper on the top and Janes Agenda on the bottom. You can see that the Janes Agenda paper is a lot whiter and the spacing is a good bit larger. Combine this with having a little less room on the page and you end up with less boxes. I uploaded the video of the full walkthrough of my bullet journal setup in the disc bound notebook system. I hope you like it! 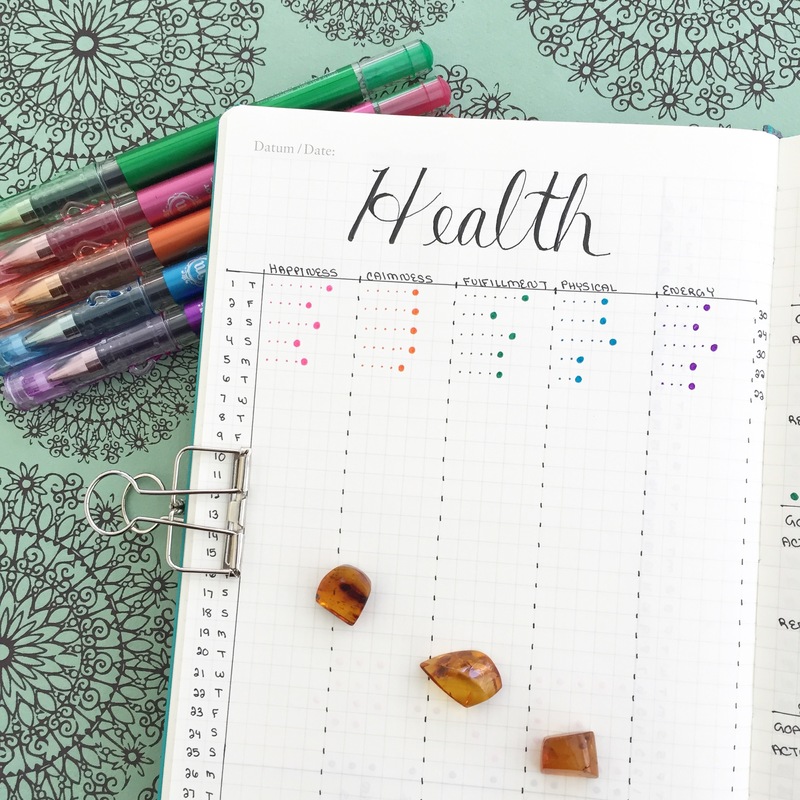 Come hang out with me as I talk through why I am switching my long-term bullet journal collections over to a disc bound system!